I’m pleased to announce that the DotNetNuke 6.2 Community Technology Preview is now available for download. If you aren’t quite sure what we mean by Community Technology Preview or CTP, I would suggest reading “What’s in a Name?” by DotNetNuke Co-Founder, Joe Brinkman. Just to be clear, this is not a production quality release and only intended to be used for testing and evaluation purposes. The CTP release will allow us to collect valuable feedback on key functionality early in the release cycle so that we can incorporate that feedback into the final release. We want to encourage everyone to provide us with feedback. We also want to have some fun at the same time. What to expect in CTP 1? This is the first DotNetNuke release which includes capabilities from the Active Modules acquisition last year. A tremendous amount of thought and planning has gone into making the integration as seamless as possible. We have already done a significant amount of testing, but you shouldn’t be surprised if you come across a few bugs. I also need to point out that we aren’t finished with the Active Social integration. Please don’t panic if you see something missing. 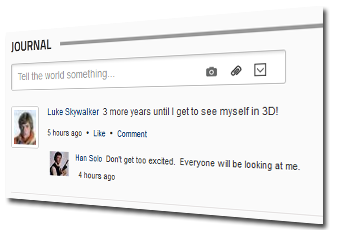 One of the more critical pieces to a successful collaboration platform is the activity stream. In DotNetNuke 6.2, we have created a module and API that will allow you to easily display and create activities within your site. The Journal Module has been completely re-written to provide a more simplified and intuitive user experience. Look for more details about the Journal over next few days. As part of building the new Journal Module, we wanted to provide a better way for users to manage their own files within DotNetNuke. Instead of uploading a file multiple times, the Journal now allows the user to browse existing files and attach to a Journal message. 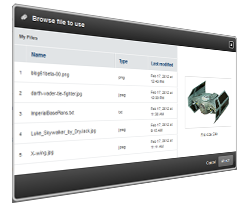 The functionality in the User File Manager is limited to browsing and selecting files, but expect to see additional enhancements before the final release. The CTP also includes several new APIs that have been documented in our Wiki. You can follow the links below to learn more about each item. Now for the fun part. Find the Easter Egg! How can we make testing fun? Well, we probably can’t make it all that exciting, but we can certainly try to make it worth your time. We’ve added an Easter Egg in the CTP that you’ll find in one of the areas I mentioned above. You will need to download and install the CTP to find the Easter Egg. Find the Easter Egg, give us your feedback and you’ll be rewarded! You could win $100 Amazon Gift Card.! Learn more about the DotNetNuke 6.2 CTP1 Easter Egg Hunt. 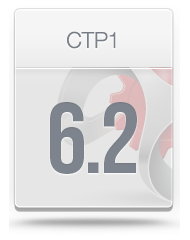 Download DotNetNuke 6.2 CTP1 and start using the product. We are looking forward to your feedback!